There is something about this new batch of soap that I am particularly drawn to. Do you find you have things in life like that for yourself? Maybe it's the color, or texture, or fragrance. I'm not sure. But I do love how this turned out, and how it looks with the lavender spa cloth that I knit. I used the same spaghetti noodle box, that I used in the batch of Honey-Almond-Oatmeal soap last week, for the lavender soap mold. The box held up fine for a couple of uses. I taped up the end that I had opened to get that last long bar out. And I relined the box with new plastic wrap, this time not gluing it into place. The soap edges had a slightly neater appearance with the first batch, having glued the plastic to the cardboard. But, overall, this batch looks good, too. I un-molded it the next morning, and cut it into 4 bars. With the lavender soap, I tinted the soap base a pale shade of lavender, to coordinate with the lavender spa cloths that I knit earlier this fall. I added dried lavender buds that I cut from my garden and air-dried this summer, then ground partially in my coffee grinder just before melting the soap base. And I added some lavender essential oil. The kitchen smelled amazing while I was making this batch. Immediately after pouring the soap into the mold, I sprinkled the surface with more dried lavender buds. By gently blowing on the surface, I could see where I needed to ever-so-gently press the buds into place. This soap formed a skin very quickly. I am now onto wrapping my soap, both to preserve it's freshness and to add to the presentation of this hand-crafted gift. Where to find free cellophane? I have the one cellophane bag that I mentioned previously. I've decided to save that for packaging for my hand-crafted bubble bath (more on that another day). Where else would I find cellophane? I bought a box of tea earlier this week, and as I was opening the package, I had a lightbulb moment. 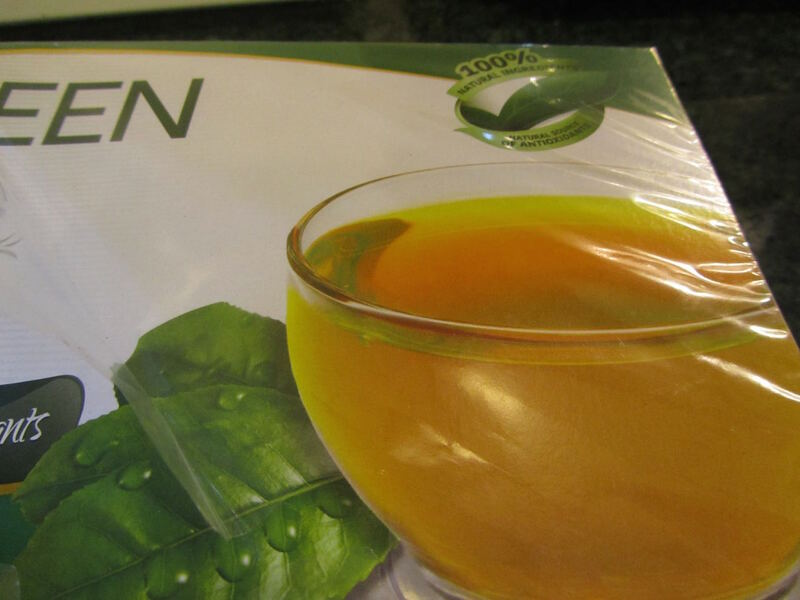 Tea boxes often come wrapped in lightweight cellophane to preserve the tea's flavor. Next, to find presentation for these bars of soap. I'm feeling inspired by some favorite sonnets and poetry. Hmmmm. . . wrapping soap, to be continued. A breakdown on costs and timing for making soap as a gift. Now is the time to be looking for high-value coupons for Michael's and Hobby Lobby, for the soap base, and maybe the essential oils. 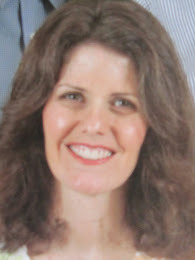 I buy essential oils, online, through Amazon and Bulk Apothecary. As I use lavender essential oil in many bath and beauty products, I buy it in 4 ounce bottles through Amazon. I buy this brand and size -- Calily &8482; 100% Premium Pure Lavender Essential Oil - Large 4 Ounce - Therapeutic Grade Oil, (4 Oz. / 118 ml) . The fragrance is good, for my use, and the price is awesome for pure lavender essential oil. A bottle this size lasts me 2-3 years. For the soap base, I think you can get the best price per pound with a 50% off coupon to a craft store, like Michael's. The regular price is about $10 for 2 pounds, with coupon the price was $5. I used a little over 2 pounds to make 8 bars (I had soap base leftover from another gift). So, for the mold I used, a 2-lb block of soap base would make 7 bars, making 2 batches. Each of my bars was about 5 ounces, and cost about 72 cents per bar for the soap base. 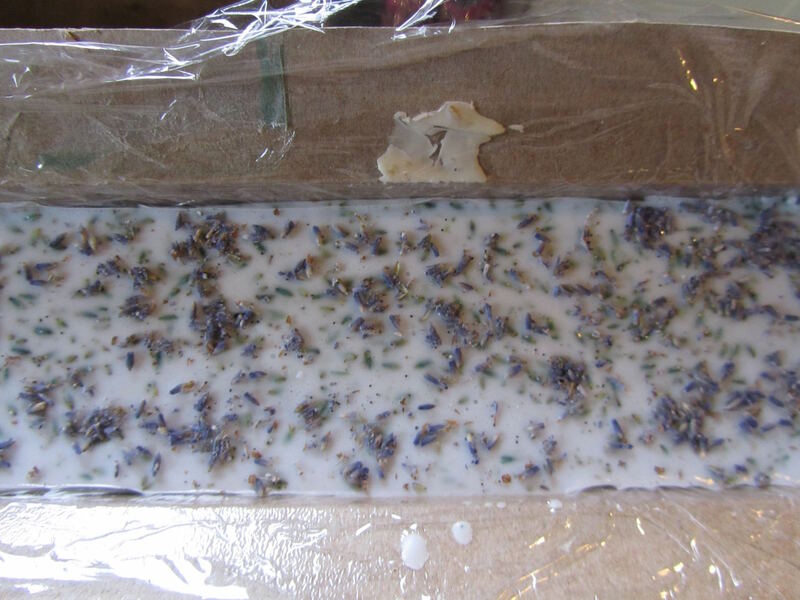 Adding in the cost of the oil, my lavender soap came close to 85 cents per bar. I like to pack the soap into airtight containers, using waxed paper between bars, and leave for a week to harden a bit more. 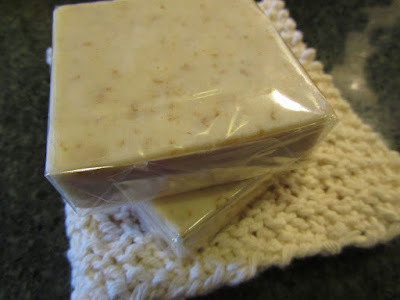 So, to make soap as a gift, one would want to do so about 2 weeks in advance of needing those bars for gifting. What do you suppose is in this envelope? Hint, it's another spa gift. I'll post about making those, and the envelopes, this week. One more thing. It's looking like I'll have some extra spa items. I'm still going through everything, and seeing what will fit into a small PO package. But I feel a giveaway coming on! Stay tuned! 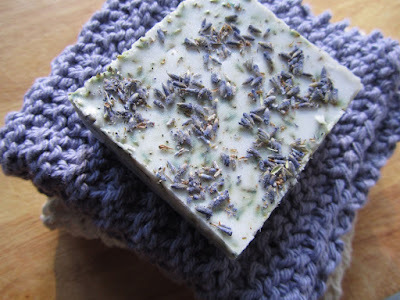 I love the look of this soap with the addition of lavender flowers. Great idea. I love the way this one turned out, too. It's really satisfying when that happens. Have a great day,live and learn! Absolutley beautiful! Lavender is my favorite scent! Thank you. Lavender is one of my favorite scents, too. That came out just lovely! And you are so creative with the wrapping and presentation! I did finally get around to making soap, just yesterday in fact. Tried hot process this time instead of cold, and it was surprisingly easy. I used a silicon muffin pan for soap molds. I don't know a lot about soap-making. But by hot process, do you mean the same as melt and pour? 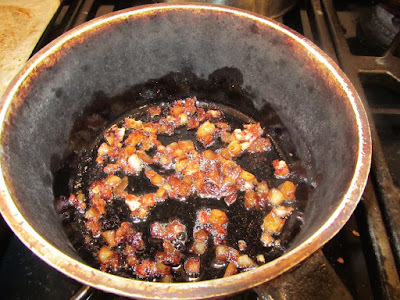 Or is this still some sort of cooked lye and fat preparation? Great idea to use the muffin pan. The soap must have come out so easily, and with clean edges. In cold process soap making, you heat the oils, the add the warm lye/water solution to it and just stir/blend to trace without further heat. For hot process, after combining the ingredients, you continue to heat. Cold process soap needs to cure a few weeks before using, but hot process doesn't. I used my slow cooker with a liner to do this. I just made the soap Sunday and will be taking it out of the molds today--could have done it yesterday but ran out of time due to other errands and commitments. Thank you for this info, Cat. Have you ever thought of selling your hand-crafted soap at a farmer's market? That lavender bar looks lovely. Sadly, I have given up using any kind of soap with "stuff" in it. It was probably 10 years ago, I used a bar with "stuff" in it and a piece of that stuff got into my eye. It went way up under the eyelid and would not come down. It irritated me for the whole evening until finally I drove to an ER and had to have the dr. remove the thing from my eye. The next day was my anniversary and I spent the whole day putting cold packs on my eye. Not fun. Oh, that's awful! What a horrible thing to happen! That is a good thing to be aware of, with soap for one's face. I don't use soap at all on my face, and haven't for about 10-15 years, due to sensitive skin (I use a moisturizing cream as my "soap"). I probably wouldn't have used a bar like this on my face, when I did use soap, again, skin sensitivity issues with the fragrance. So, this issue would not have occurred to me. But not everyone has such sensitive skin that they have to be careful about what goes on their face. I've only used bars like these as bath/hand bars. I'm so sorry that happened to you, though. It must have been miserable. I hope there were no long term effects. I have never made soaps. At 85 cents a bar, these soaps are not cheap, considering also that you bargain shopped for the ingredients and had homegrown lavender at hand. How much do these sell for in stores or at craft fairs? Your homecrafted soap and hand knitted spa cloth go so well together and would be an absolute delight to receive. However, maybe a warning about not using it to wash face is in order...sorry to hear about the mishap that Alice went through. handmade soap sells for about $5 for a bar this size at the farmer's market in my town. If one were to make soap to sell at a market, then I assume they'd buy their supplies in wholesale quantities, which would bring the cost to make down, to about 50 cents per bar. These are "luxury" bars of soap, that you wouldn't put in the same category as bars of Ivory soap. Like the comparison between K-cup coffee and Folger's instant. In putting together gifts, this is what I have -- the ability to shop for a good price, combined with a bit of free time, and lavender growing in my own garden. Some people have great sewing skills and can sew gifts, or knitting/crochet. But you make a valid point, some people go overboard on spending to make hand-crafted gifts, all the while thinking they're saving money by making gifts. That's what keeps stores like Michael's in business, people willing to spend $10 to make a $5 bar of soap. Hope your day is lovely, as well, YHF! 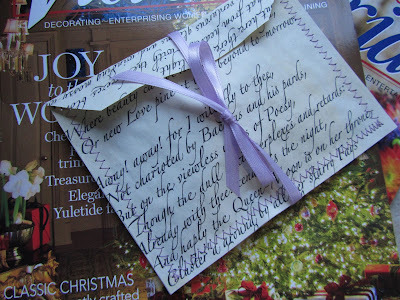 The lavender soap and spa cloth are beautiful, Lili. My daughter and I have done soapmaking in the past, also to use as gifts. It is a nice and useful gift. One idea for presentation could be to make a sleeve of gift wrap or scrapbooking paper to slide the cellophane wrapped bar into, and then add a little piece of tape on the back to hold it in place. Like you, I have reused cellophane from other packaging many times for presenting a gift. Oh Mary, have you been spying on me? You'll see when I post a photo of my wrapped soaps! Ha ha! Thank you, Mary! I love how they turned out, too. Very lovely Lili. These will make lovely Gifts. Thank you, Patti. I hope so! The soap turned out absolutely beautiful! It looks perfect with the spa cloth. In my area, there is a lady who sells her handcrafted soap for $7.00 a bar. She is a friend of my manager's wife, so sometimes we receive a couple of bars from my manager as a Christmas present. It's always one of my favorite gifts. I especially love the cinnamon clove bars. I need to find out how to make that scent. Oh, what a wonderful gift! I received a bar of soap named November Spice, several years ago. It's a beautiful bar, with swirls of dark in it. The packaging indicated that it was made with allspice, cinnamon and clove essential oil, and marbleized with dark chocolate soap. You can find those spice oils through a source like Bulk Apothecary or Mountain Rose Herbs, online, and make your own room fragrance with those. I really love reading about all the ways you bring elegance to your life in such frugal and simple ways. I plan on trying these - I have tried many of the things you blog about. Thanks for the tips for elegant living! Thank you, Ruthie! What a lovely thing to say. This soap looks so lovely and "professional". Kudos on finding the cellophane options! Have you held back one for yourself? Thank you. I hadn't thought to keep one for myself, but now that you mentioned it, I just may.